For that special occasion or a casual walk in the park to have a hair with flowers hairstyle brings a natural accessory that can be chosen to match your outfit. You may want flowers in your hair to look like a princess on your wedding day with a beautiful full-skirted, tight-bodices affair with the longest train you can find – and there will be flowers everywhere, in blushing pink and cream. 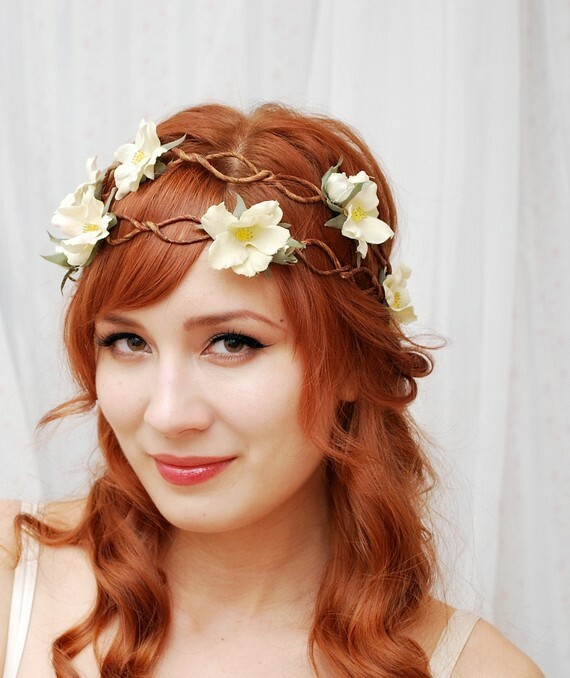 Long hair will be worn loose and full with a gentle wave and fresh flowers woven into it at the crown With mid-length hair, fresh lea roses in muted purples and pinks can be used to form a natural Alice band over the crown. You can create a dramatic short-hair look by smoothing hair away from the face with a beaded tiara. This is a very modem take on the classic pin curl. Sections of hair approximately 5 cm (2 in) square, are twisted around the fingers and pinned in place all over the head using matt hair grips. Large, fresh flowers are interspersed between the curls. Very straight long hair to longed using large-barrelled hot tongs to create gentle waves that are left loose to cascade down the back. 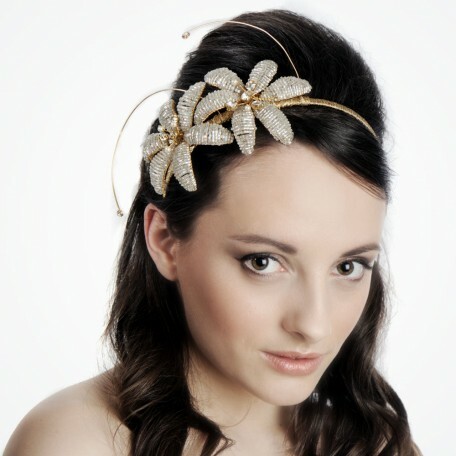 For added effect a natural flower garland is pinned in place in the centre of the crown.